The big question is that: Is it the right time to buy debt schemes? Which is the better choice? At the same time getting the tax benefits all in one go ? 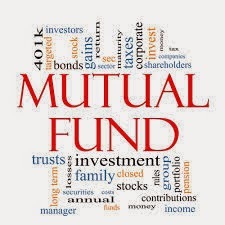 Now the distributors as well as the mutual fund houses are promoting the schemes .Are debt schemes a better alternative to the fixed deposits in the banks , although we have to analyze the risks which they carry. 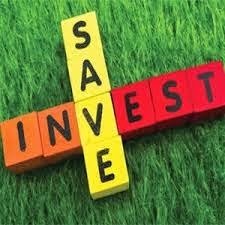 One thing is for sure that the debt schemes are market linked instruments just like any other mutual fund scheme and the returns from these solely depends on when you buy or sell. There are certain things like research and expertise which the advertising and promoting companies lack and very sadly the fund companies also do not promote and this is where our company vps advisory helps you out. Even the Finmin has emphasized to change the taxability of the debt schemes, so now the question is that are the debt schemes still worth considering . First of all the bank FDs are different from the debt schemes just like the ice and the ice-creams. 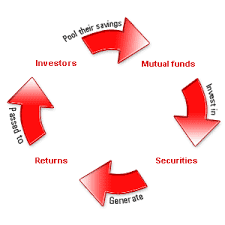 The bank FDs offer a safe and secure income and also offers the protection of the principle amount ,but they are taxable where as the debt schemes are market linked and carry the interest rate risk and this is the reason that at sometimes the returns can be really low and at times even towards the negative .Until now the debt schemes offered huge tax benefits but after this year’s budget the income generated through debt schemes for holding period of less than three years would get the same treatment as that of the banks FDs. So one should look for two things one invest in the top performing schemes and two understand the interest rates cycles..Achieving the both is a bit difficult for the average saver, however analyzing the interest rates is really tough even for the experienced investor .The bond prices and the bond yields move inversely ,if one is higher than the other is lower ,therefore when you invest when the yields are higher and exist when the yields fall ,than you make better returns and of course better returns than the returns than by the equities .And on the contrary if you buy at the bottom of the interest cycle and sell when the yields go up than you end up in a loss..The price of the long term bonds are more sensitive to the interest rate movements as compared to the short term bonds and this only shows that the income schemes which have longer duration are riskier than the short term debt schemes. To understand bond , bonds are nothing but a form of debt .Bonds are loans but you serve as a bank .You loan your money to a company ,a city or the government who in turn promise to pay you back in full with regular interest payments . A city may sell bonds to raise money to construct a bridge ,while a government issues a bond to finance its spiraling debts .How long you hold the bond or how long you lend your money to the bond issuer also comes into the play ,for example a five year against one year bond pays higher yields because your money is engaged for a longer period of time .The interest rates probably have the single largest impact on the bond prices because as the interest rates rises the prices of the bonds fall ,that’s because when hen the rates climb the new bonds are issued at a higher rate thereby making the existing bonds with lower rates less valuable ,and if you hold into your bonds until maturity it doesn’t matter how much the prices fluctuate because your interest rate are fixed when you had bought them and when the term is up you will receive the face value ie the money which you initially invested , but you need to sell your bond in the secondary market before it matures ,you could get less than your original investment back. Initially the inverse relationship among the interest rates and the bond prices may appear to be illogically ridiculous ,but upon second look it makes sense for example a bond is trading at 95 and has a par value of 100 paid at maturity in one year ,the bond rate of return at the time is 5.25%(100-95/95) is 5.25% appox,.For a person to pay Rs 95 for the bond he will be happy to receive a 5.25% return .But the satisfaction with this return depends upon what else is happening in the stock market .If the current interest rates were to rise given the newly issued bonds a yield of 10% ,thus bond yielding 5.25%would not only be less lucrative but would also be out of demand ,and to attract demand the price of pre existing coupon bonds would have to decrease enough so as to match the same return yield by prevailing interest rates So do choose wisely .